We've got a surprise for you this week, creeps and peeps! We're bringing you our Milwaukee and Asbury Park, New Jersey stories retold from the studio! 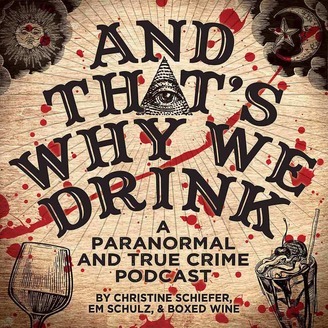 Tune in to hear Em cover the haunted Pfister Hotel and how they surprised Christine on stage by covering the hotel we stayed at. We may also have experienced our own creepy happenings in the grand hotel and at the very least saw some ugly cherubs. 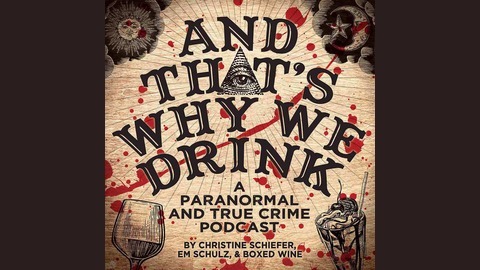 Meanwhile, Christine tells the extremely chilling tale of the Watcher House of Westfield New Jersey, a story so mysterious and scary we would NOPE out of there so fast... and that's why we drink!